Put those palm trees in print! 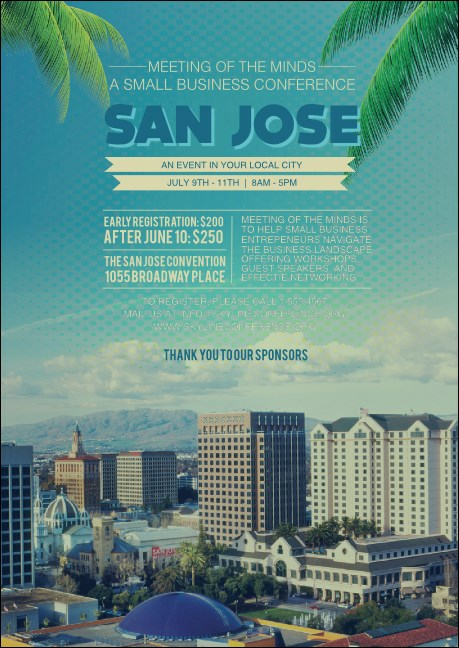 Get a great turnout for your next event in The Valley of Heart’s Delight when you send out San Jose Postcards and advertise in advance. Every Postcard features a beautiful scene complete with the San Jo skyline and Mount Hamilton rising from behind in the distance. Silicon Valley advertising never looked so slick at TicketPrinting.com!